A collection of woven and laced pieces developed for the inaugural exhibition, Opening Narratives, at Make Hauser & Wirth Somerset, the new Hauser & Wirth gallery dedicated to contemporary making, in Bruton, Somerset. The work explores ideas about light and shadow, transparency and pattern layering, line and form. 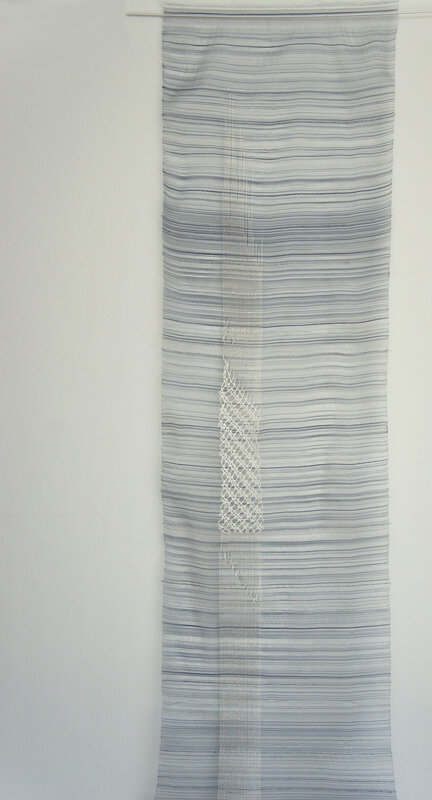 Each piece explores how the horizontal and vertical constraints of weaving and be visually escaped, and explores diagonal movement in constructed textiles. 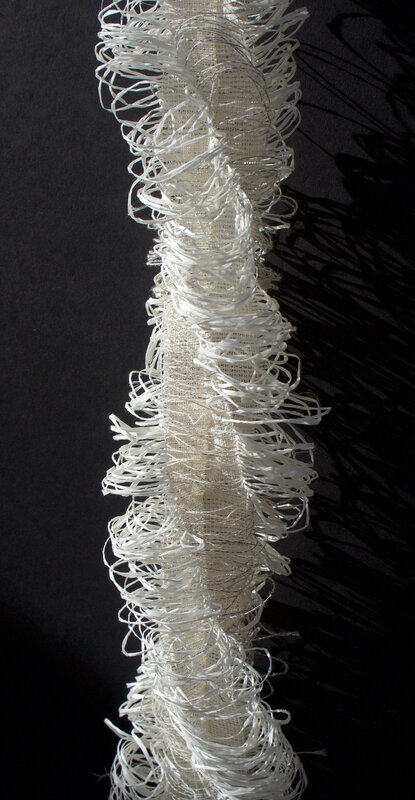 The work is created in a combination weaving and lacemaking techniques in mixtures of monofilament, paper, cotton, horsehair, linen and lurex. Opening Narratives ran between 28 September – 24 November 2018.